Oh this one is in the third person? Happy to see that it works in this case because that is usually a huge turn off for me. I haven't read anything by Mead so when this one comes up later this month it will be my first read of hers! I am so excited now. So happy that you liked this one so much. Fabulous review, Siiri! This is the first really positive review I've read for GotGs. I'm glad that you liked it. I'd pretty much decided that I wasn't going to read it, but you've changed my mind! YAY! I love RM and I can't wait to read this book now that you mentioned that the mystery was done very well and you didn't see it coming. Though I don't like that Mae and Justin are too stubborn to express their feelings, but I guess in a way, that adds more excitement because it builds up to the moment where they finally will say it out-loud and I can't wait to read that part, hopefully in the next book. Great review, Siiri! 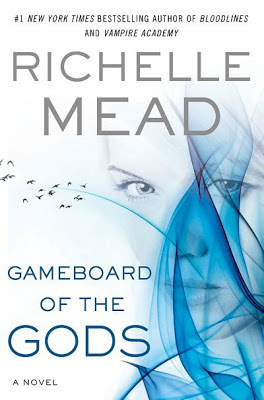 I agree with you that Richelle Mead is an excellent author! I am also excited about this series. But I've decided to wait and read it until more of it has been released. I read Vampire Academy in one big chunk, and I liked that experience better than Bloodlines, which I've been reading slowly as they've been released. Although the Bloodlines series is GREAT too. Do you have any idea how long this series is going to be? Whether it will be another 6 book one? That means a long wait! But great review. I think it's wise since I can't wait to know what happens next. Ha, VA has been re-read by me so many times and I read them all together when I got them from a family friend so the same for me -- I enjoyed the experience a lot. I hate waiting for Bloodlines' books so I think I'm going to stop here with The Golden Lily and wait for the rest of them.. If I can manage LOL. Actually, I don't have a clue how many books there'll be. 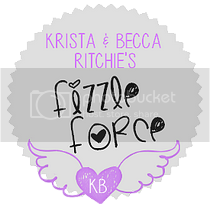 I think Richelle was supposed to reveal that sometime soon. I hope for 3 books hough. It's a complex world with great potential, but I'd love for a shorter series this time.